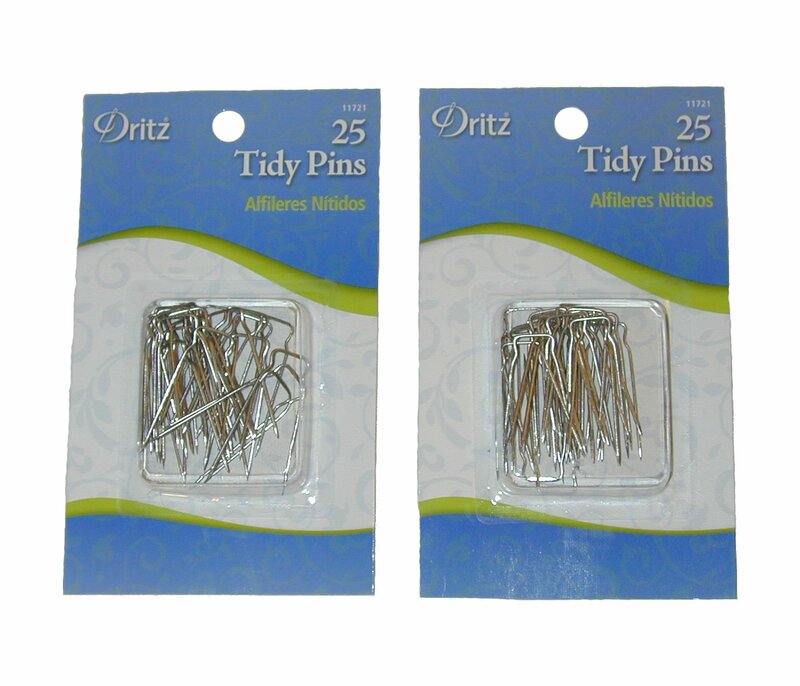 Dritz Tidy Pins - 2 cards of 25 pinss per package. 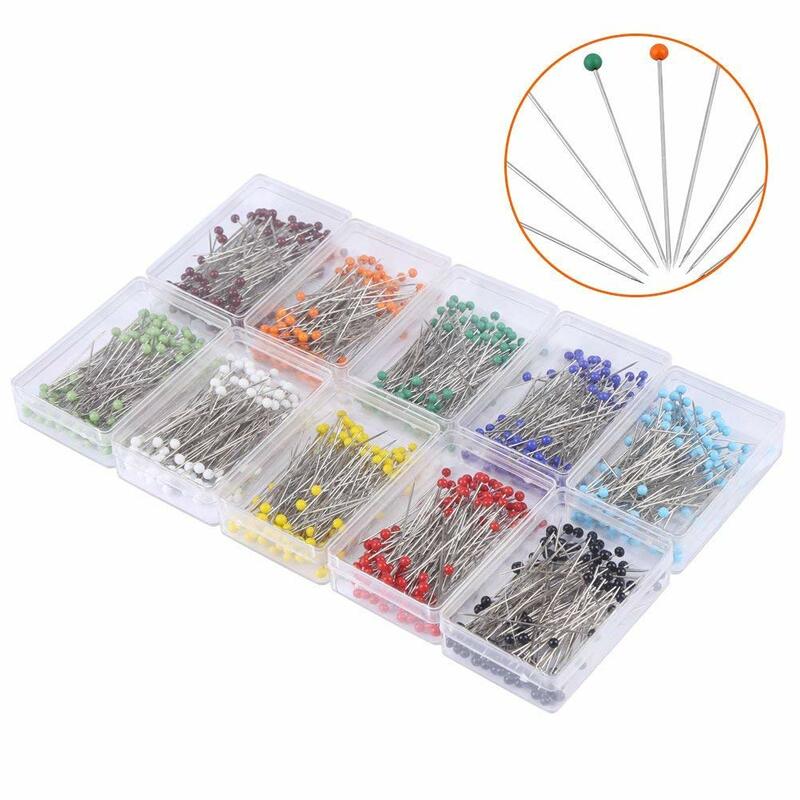 Home / Arts, Crafts & Sewing / Sewing / Sewing Notions & Supplies / Pins & Pincushions / Pins / Straight Pins / Dritz Tidy Pins - 2 cards of 25 pinss per package. 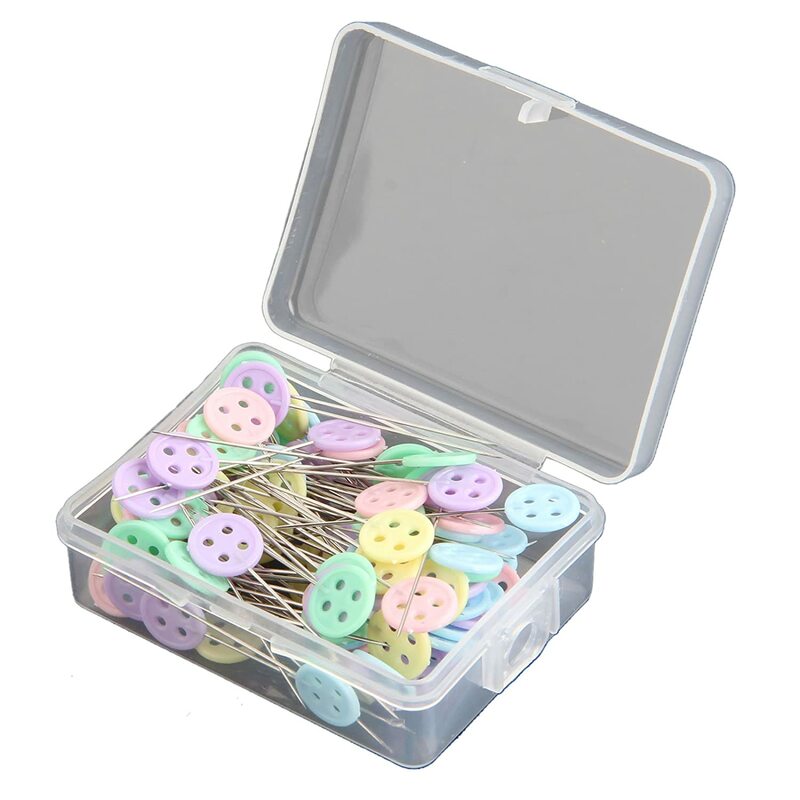 Each package contains 2 cards of 25 tidy pins. 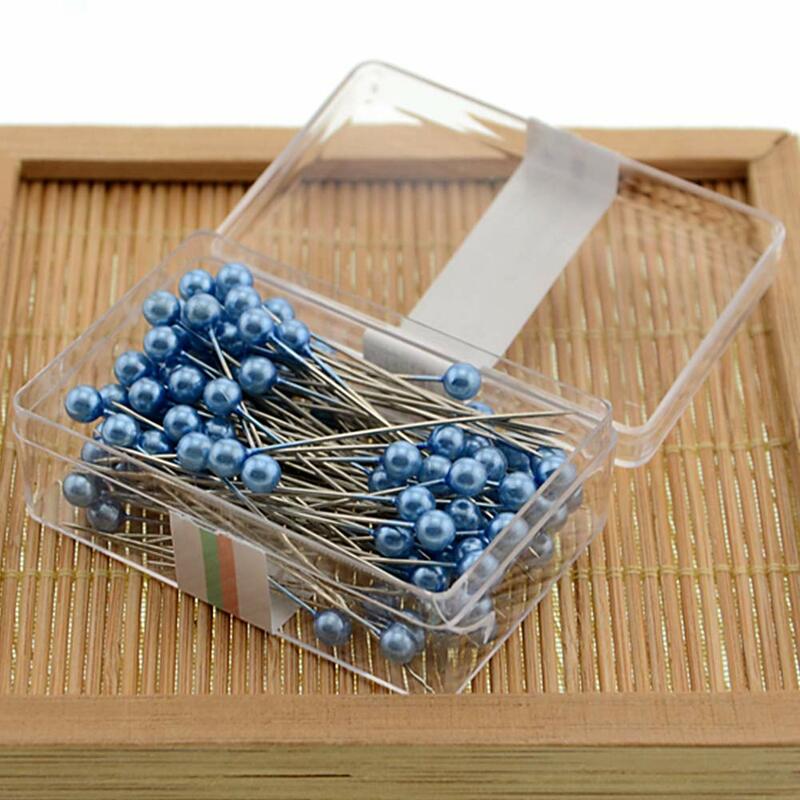 These pins are used to hold slipcovers and bedskirts in place among other things. The pins lie flat so there is nothing to snag clothing on when sitting.. Certainly the price is right. However, they tend to fall out of the fabric on upholstered arms. In addition, when I realized rather quickly that I had lost one entire pack, the reordering came up empty; out of stock. 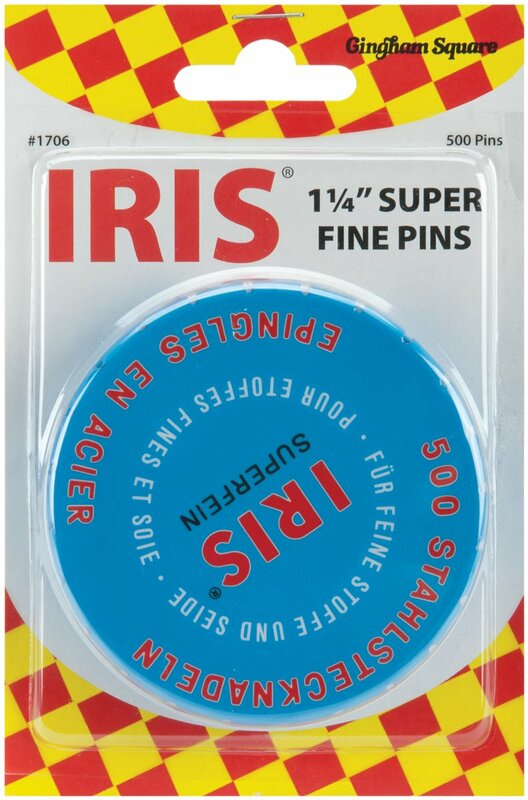 Perfect for adding fabric to foam board. Just what I needed to keep an elastic bed skirt in place. Used for securing bedskirt from sliding. These pins worked great! Useful item when using a generic slipcover. Could have used a longer length but these worked ok.